I have been profiled my entire life as innocent. When disruptive in class, I was told that I was eccentric, that I needed to work on my focus. Growing up, I looked for fights and conflicts yet I never fit the profile of a juvenile delinquent. The chip on my shoulder never signified a thug; I was just a kid with a bad temper who needed to mature and grow out of it. No stop and frisk. No pretext stop. No humiliating search. No fear of how to hold my hands. No ticket. I, like Adam Lanza and James Holmes, the two most notorious mass shooters of the past year, am white male privilege personified. We are humanized and given voice and innocence over and over again. Is James Holmes a Nerd? The narrative following Adam Lanza and Newtown might as well recycled the media coverage surrounding James Holmes and the Aurora, Colorado shooting. Described as “smart” and quiet, as “nice,” and “easy-going,” the narrative sought to not only humanize James Holmes, but also imagine him as good at his core. It worked to tell a story of a normal kid, whose life turned toward evil for some yet-to-be-explained reason. Because these are told as stories of individuals with specific reasons for killing others, there is no reason to talk about race, class, or gender; there is no reason to talk about society, nor is there any reason to think that Aurora, Newtown, or Columbine are becoming Chicago or Detroit. Continue reading at The Unbearable Invisibility of White Masculinity: Innocence In the Age of White Male Mass Shootings. Preventing the Rise of Pothead U. With the election season thankfully in our rear-view mirror, we can take stock of what the marijuana legalization initiatives (in both Washington and Colorado) mean. It should come as no surprise that college students have been rallying to end the prohibition of marijuana. I, for one, have often seen students pushing their decriminalization agenda on campus. What always struck me as I walked past these primarily white, middle-class crusaders is that marijuana is already effectively decriminalized on college campuses, as well as in suburbs and middle-class communities. Decriminalization is a daily reality and has always been the applied law of the land in these environments. Sure, colleges and universities may claim to comply with federal drug laws, which, theoretically, should prevent the rise of Pothead U. Still, I can’t imagine the DEA swooping down anytime soon. A student conduct hearing and threat of drug education is not criminal enforcement. Take a look at the numbers. Studies typically show that close to 50 percent of college students have used marijuana during the course of their young lives. According to a 2007 study, the number of students using marijuana daily more than doubled between 1993 and 2005. Furthermore, research has consistently shown that white students (and Latino students) use illegal drugs more frequently than African-American or Asian college students. Those trends also reflect drug-use patterns among young people not enrolled in college. It is not surprising that most of agitation for legalization of marijuana has been overwhelmingly white. Of course, even the federal decriminalization of marijuana won’t eradicate all of the criminal misconduct among today’s college students. In recent years, drug use has also worsened with the proliferation of “performance-enhancing drugs” like Adderall. During the early part of the 21st century, sales increased by 3,100 percent; in recent surveys, anywhere from 5 percent to 35 percent of students admitted to popping these “study drugs.” Despite the fact that it violates federal drug laws, students regularly secure Adderall with little fear of punishment. Continue reading at Preventing the Rise of Pothead U. – The Conversation – The Chronicle of Higher Education. America’s biggest unofficial national holiday, Super Bowl Sunday, is more than a football game. It is a celebration of military prowess (in 2011, the Navy spent 450,000 tax-payer dollars to conduct its 2011 flyover), excess, and a culture of wealth. With tickets going for $3,000-4,000 a piece, and millions of dollars going to local businesses (although this number is often overstated), the economics of the Super Bowl are as important as questions about Rob Gronkowski’s injury and the potential dominance of Giants defensive line. Yet, the economic question transcends the issues of the “local economy” as the Super Bowl is yet another party for the rich, by the rich, and of the rich. Every Super Bowl Sunday, corporate executives and politicians exchange besotted, sodden backslaps, amidst an atmosphere that would shame Jack Abramoff. Only this year the bacchanalia — complete with ice sculptures peeing Grey Goose vodka and two tons of frozen lobster flown directly to the stadium — is happening in the United States’ most impoverished, ravaged city: Detroit. The image of the Super Bowl as Americana, tailgates, beer and hot dogs, is a misnomer at best, given the predominance of America’s 1%. 2010 set a record for the number of private jets landing for a Super Bowl with 400, only to be left in the dust with 600 private jets in 2011. “For the private jet business, the Super Bowl is the, well, Super Bowl of private jet rentals. Every year, like monarchs to Mexico, a swarm of private jets descends on the big game to unload the rich and powerful football fans,” writes Robert Frank. There’s no tailgating under the tail fins, or downing buffalo wings on the wing of the G550. But for some reason, private-jetting and football have always gone well together for February’s big game.” The 2012 Super Bowl may surpass these past records. Planes are not the only excess. According to one report, 35% ticket holders write off the game as a business expense. Highlighting the ways in which the Super Bowl is a party for billionaires, whether it be team owners, corporate executives, or other members of the 1%, the disparities and disconnect that will be on full display this Sunday, should give pause. The 1% has a lot to celebrate at the Super Bowl given the amount of money generated because of the football game, very little of which goes to the players and the other people who make the game happen. According to Wall Street Journal report, over 5 million NFL fans will stimulate the economy through upgrading their television in anticipation of the game. Additionally, on average those watching the game spend 60 per person in food and merchandize. The Super Bowl is an economic bonanza. 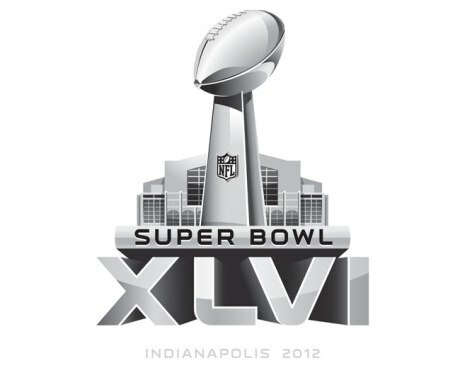 Continue reading at The Economics of the Super Bowl: On ‘The Woodstock for the 1%’ | Urban Cusp. In headline after headline, in commentary after commentary, the NBA lockout has been described as a battle between “millionaires” and “billionaires.” Reductionist in many ways, the effort to construct the lockout as a struggle between two different yet similar parties (the owners are not part 99% although some of the players surely are) reflects a problematic conflation of two distinct groups. In “Why We Can’t Dismiss The NBA Labor Dispute As ‘Millionaires Versus Billionaires,’” Scott Keyes warns against the tendency to link and otherwise obliterate substantive differences between players and owners: “Conflating the two groups as similarly-placed economic royalists, neither of whom deserve sympathy from an American public grappling with a depressed economy, is understandable. But to create an equivalency between millionaire players and billionaire owners obscures a scarier picture regarding the players’ long-term economic prospects.” Discussing the very different long term economic prospects between owners and players, Keyes points to several larger issues at work: the differences between workers and owners, the differences between a salary and an investment, and the very different economic futures of each group. The gap between Black and white households ballooned during the 23-year study period, as white families went from a median of about $22,000 in wealth to $100,000 – a gain of $78,000. In the same period, Black household wealth inched up from a base of $2,000 per family to only $5,000. The sweat and toil of an entire generation had netted Black families only $3,000 additional dollars, while white families emerged from the period with a net worth of 100 grand that can be used to send a couple of kids to college, make investments, help out other family members, or contribute to the larger (white) community. In other words, despite the accumulated income (some wealth) by a handful of African American athletes and entertainers, and a growing black middle-class, black-white wealth disparities have increased and that was before the economic downturn. The NBA lockout offers a window into the larger issues of wealth disparity and power differentials and the ways in which race-based wealth disparities operate in myriad of American institutions. The efforts by the owners to further the disparity in income and wealth, while very different given the salaries of scale, illustrates the level of disparity that defines class and racial inequality in the twenty-first century. Continue reading at NewBlackMan: They Ain’t Wealthy, They Are Rich: Economic Lessons from the NBA Lockout.